The smart notebook software is a powerful and feature rich addition to any classroom. The gallery is loaded with images, backgrounds, interactive content and flash-based lesson activities. Did you know that you can add most flash activities from the web directly into a smart notebook page? Here is how it works. First, using Google Chrome, conduct a search for the topic you are looking to explore with students and add that to the search bar. Add the phrase "filetype:swf" at the end of the search. This will limit the search to flash based activities that fit that search criteria. The search will return a list of sites with flash based activities for working with fractions. Select one of the sites and open it. After you have the site open click on the wrench on the top right side of the Chrome toolbar. In that menu select "save page as". 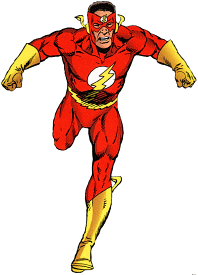 Save the file as a "Flash Movie". Open up smart notebook and navigate to a page in the file that you want to insert the flash activity. On the top toolbar click on INSERT - FLASH FILE... and browse to the flash file you saved. Viola... You now have an interactive flash file embedded into your smart notebook presentation!